First and foremost I would like to wish all our beautiful subscribers, clients and supporters a Happy and Prosperous New Year. 2011 was an amazing year for us, with the launch of the blog, winning an award at the InCREDIBLE Wedding Award Ceremony – and many events we were privileged to organise. The event that was no doubt the talk of the town for many months was the Kosibah 20th Anniversary Event & Launch of the Bienvenue 20 anniversary collection. I am glad to be back afresh with the latest Getting To Know edition, featuring one of the talented wedding accessories designer we worked with. For that reason it’s all about sparkly Tiaras and all things nice today on my blog and I am so proud to introduce to you the lovely Louise Turnbull, owner and founder of Tiara Haven. 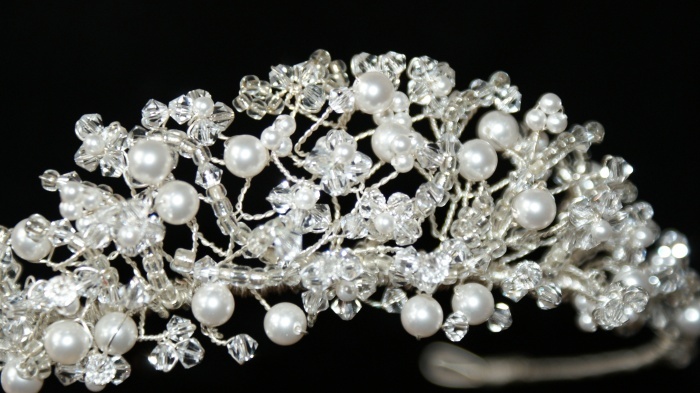 Specialising in producing individually designed exquisite bridal tiaras and co-coordinating jewellery, along with hair accessories for special occasions such proms, Louise will be giving us the lowdown on her business and what she has been up to since her debut at the Kosibah 20th Anniversary Event. The CedarEventress: Can you tell me about Tiara Haven. Louise Tunbull: Affordable luxury for weddings, proms, evening wear or just to look great! Tiara Heaven’s exclusive range of hair accessories and jewellery are all handmade to order giving that personal and unique touch. From exquisite tiaras on ‘comfort headbands’ to beaded flowers for hair and bouquets, Tiara Heaven has created a collection that everyone can enjoy. The CedarEventress: When was the company founded and where are you based? The CedarEventress: Why did you decide to start your company? Louise Turnbull: In my youth (seems some time ago now) I took over and ran my family wedding business ‘Dorset Designs’ which involved pressing and mounting wedding bouquets. Then came along my two children and with it a change of direction. My strong design skills and a love of anything shiny resulted in the formation of Tiara Heaven. I love making sure that each order, no matter how large or small, is given the care and attention to detail that everyone deserves. The CedarEventress: Tell me about your career path before starting your own business? Louise Turnbull: In my early twenties I helped run the family business pressing and mounting wedding bouquets, I did this alongside working in the funeral industry which was a job I used to love. At twenty-four I had my first of two children and I decided to stop working so I could be at home with them. After they both started school I worked as a teaching assistant at a school for children with severe physical and mental disabilities which I found very rewarding. However, with my husband working away, I found looking after my children and starting my own business proved to be a bit of a juggle and as my business started to take off I made Tiara Heaven my full-time vocation. Whilst the children were very young, I studied with the Open University for three years which often meant that I was working late into the night and had to discipline my work schedule by myself, this helped me realise that I had the self discipline required for running my own business. The CedarEventress: Tell us about your typical working day? Louise Turnbull: A typical day usually involves a balancing act of making items that have been ordered, liaising with customers, designing new pieces, and cramming in website updates, blogging and other social networking. There are never enough hours in the day! 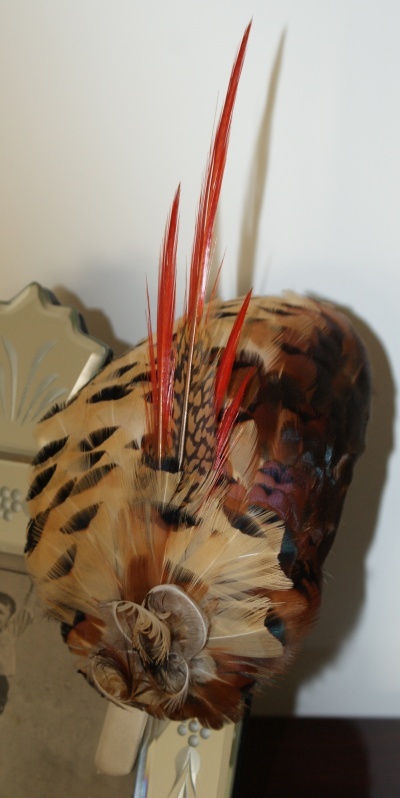 Louise Turnbull: I was recently asked to make a fascinator using pheasant wings and feathers provided by the customer as a surprise gift for his wife to wear at their daughter’s wedding. I specialise in working with wire, so using feathers was new to me. However, I was well and truly up for the challenge and it was a real baptism of fire! Fascinators are usually created using single feathers, but for this I worked with the entire wing and delved into the exciting realms of millinery. The finished design had a very retro feel to it and on hearing that his wife helps to run a charity which provides free Conductive Education Services for people with motor disabilities, I requested the payment to be made directly to this charity. The CedarEventress: What are you working on at the moment? Louise Turnbull: I am currently working on new designs for hair vines and braids and I am very excited about my new hand beaded bouquet collection called “Cherished Bouquets”. These bouquets are a real labour of love as I make each petal by hand using tiny seed beads and fine wire, finishing each flower with Swarovski crystals at the centre. The bouquets are special because they are not only a unique lasting memory of that special day but also travel well, so are perfect for getting married abroad. The idea for these bouquets came from my background in preserving wedding bouquets, I know how precious wedding flowers are and I wanted to create a bouquet that can be enjoyed for years to come. I am also including bridesmaid’s bouquets in the collection which can be purchased for a combined discount. Coordinated with the beaded flower hair accessories that I have designed, the results are stunning. 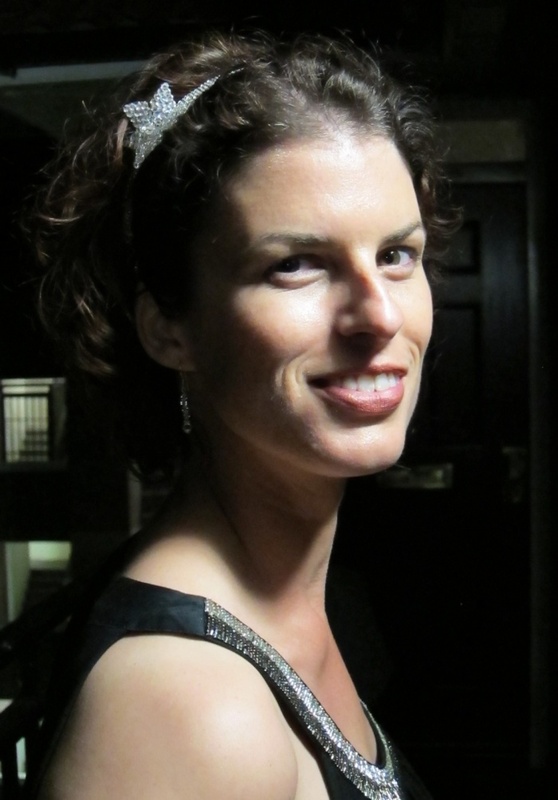 Louise Turnbull: My customers are ladies who are looking for tiaras, jeweler, or bouquets that stand apart from the mass-produced, ready-made ones available. They love the fact that all my pieces are individually created allowing them input over colours and materials to make each item unique. I have deliberately made my collections so that everyone can afford something lovely no matter what their budget and care and attention to detail is given to all. My ‘comfort headbands’ are extremely popular with my customers, as these are made to measure and can be manipulated to fit your head perfectly – no headaches from these headbands! The CedarEventress: What have been your highlights of running your own business? Louise Turnbull: I never grow tired of seeing customers’ faces when they open up the box to see their finished creation, or the process of choosing the perfect design that complements both the physical appearance and the personality of the customer. I know it all sounds very clichéd, but I feel that no matter what a person’s budget is, they all deserve the best. The CedarEventress: What is the hardest part of running your own business? Louise Turnbull: I constantly have a list of things I need to do whirling around my head and as Tiara Heaven is my sole responsibility I have to make sure everything gets done. I am forever writing lists to make sure that everything is up to date. Running your own business is not easy, especially in our current economic climate. Making sure that I am offering an excellent service has never been as important as it is right now! The CedarEventress: What has been your proudest moment of running your business so far? The CedarEventress: What or who inspires and motivates you? Louise Turnbull: I am very lucky that I have such supportive family and friends, I think by now my children and husband know everything there is to know about weddings! I am constantly bombarding my mum and childhood friend Tamzyn, who built my eCommerce site, with my latest ideas and designs as I really appreciate their opinion. I would have to say though that seeing my bouquet at the Kosibah 20 has really inspired me to create the ‘Cherished Bouquets’ collection. Thank you Yemi! Louise Turnbull: I met Yemi through Twitter. His designs are fabulous, I love his down to earth attitude and he is a real gentleman. 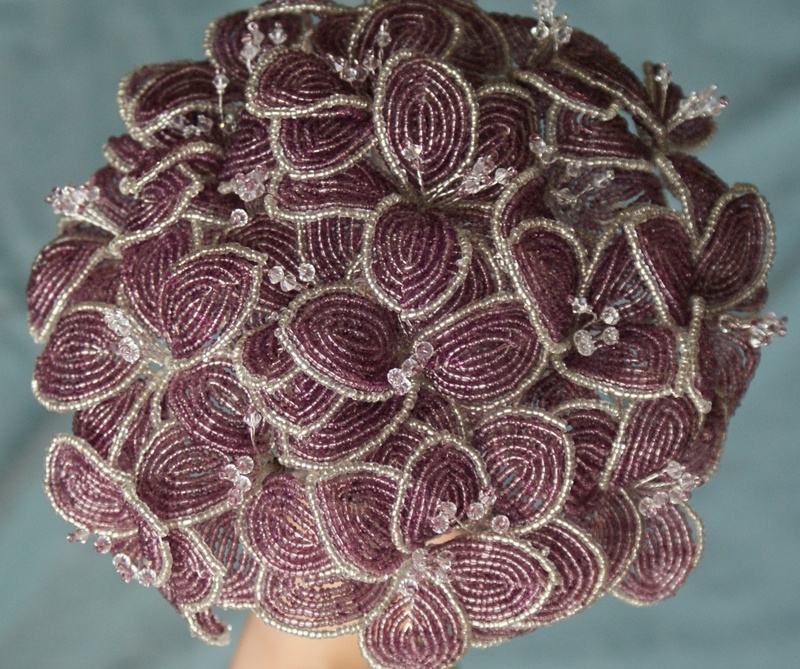 Yemi invited me to the Kosibah 20 event and as I had just finished making my first beaded bouquet I asked if he would like to use it on the night along with a matching hand beaded flower hair pin. Seeing my designs being carried by his stunning model was just fantastic, it felt a real honour to be included in such an amazing event. Louise Turnbull: I have a blog site that is a bit of a labour of love. It is starting to form into an interesting narrative of all things Tiara Heaven, I also like to blog about other businesses that I think people would be interested in. I love helping to promote other people’s businesses as I completely understand how much hard work goes into them. I have recently branched out into involving guest bloggers, and hope that I will continue to publish more interesting articles from guests. This entry was posted in Designer, Getting To Know, Gift Ideas, Tiara, Tiara, Uncategorized, Wedding, Wedding accesories and tagged Accessories, Bejewelled Pieces, Designer, Getting to know, Tiara, Wedding. Bookmark the permalink.